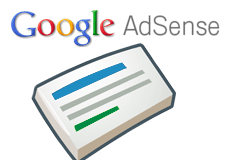 Google has just saved itself a tremendous amount of time in AdSense customer support. One of the most common questions I see in the Google AdSense forums is about the performance reports being delayed, stalled or very outdated. We're sorry, some data in this report is delayed, please try again later. There's no impact to ad serving or payments. Some publishers are calling this little notification a "major improvement" in terms of communication and clarity of what is going on in the system. Previous story: On 12/12/12 At 12:12:12 Will Google Do Something Special?